I was teaching a class at my local studio last week, where I met a woman who specializes in “Equestrian Yoga”. 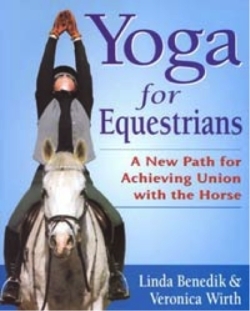 Yeah, you read that right — yoga for people who ride horses! I think a lot of people would roll their eyes at this. Some might even call it crazy. But having tweaked my yoga class for variety of populations over the years, it actually made complete sense to me. After class I began to reflect on all the different types of athletes — recreational included — who I have taught yoga over the years. I learned that it didn’t matter what sport they practiced. Yoga was a way to give their bodies whatever they needed, and it helped them do whatever they wanted do even better. I’ve spent a lot of years as an instructor, coach and sports educator. And during that time I’ve worked with athletes from a variety of sport backgrounds, including high school football players, hockey players, track and field athletes, figure skaters, and wrestlers. I’ve also taught athletes who competed in college basketball, baseball and soccer. It’s a pretty comprehensive list. And while I learned a lot about the specific needs of each population of athletes, the most important thing I learned is that athletes in general are very very TIRED. It would probably be more accurate to say they were exhausted. As sport education evolves and athletic training becomes more sophisticated, athletes are continuously being challenged by the “next best training method,” which usually involves more conditioning sessions and less rest time. Add 24/7 communication into the mix, plus the entertainment opportunities available on a variety of electronic devices, and the amount of hours dedicated to actual rest and recovery of the body and mind becomes even smaller. Stress and sleep deprivation are now commonplace at every level of athletics. And this is counterproductive, because what athletes of all types really need in order to excel at their sport is permission to relax. Athletes generally come to yoga because they want to increase the flexibility of their muscles and joints. 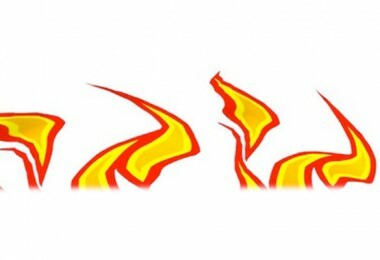 Not necessarily for health reasons, but because they believe greater flexibility will improve their game. And that’s a valid goal. With regular and specific practice, an athlete can improve his or her range of motion and muscular strength and endurance, thus improving sport performance. But that’s just the beginning of the benefits that “my” athletes have seen from yoga. Yoga is a broad subject, with a vast array of tools — including postures, breathing exercises and meditation techniques — that when applied regularly can improve more than just muscle and joint flexibility. Sure, those attributes are incredibly important. But yoga can also increase an athlete’s full body awareness and relaxation, allowing their body to truly rest and recover. And that will make them stronger, faster and more efficient over time. I remember the first time I introduced yoga to a group of high school hockey players. When I told them this stuff would help improve their game, I heard a few snickers from the corners of the room. Others outright refused to accept it. The class got off to a rocky start, but they reluctantly surrendered to my instruction, and our hour long class ended with a breathing exercise and supine guided meditation. I ran into a few of the players later in the week. Much to my surprise, they said, “Next time can we please do that thing at the end where we breathe and lie down?” Yeah, they actually requested it. These kids were under so much pressure to perform, and they were experiencing so much wear and tear on their bodies. But in our yoga class all they had to do was move slowly, breathe in rhythm with the movements, and try to stay awake at the end — which often proved difficult for more than a few of them! So yes, yoga can get sport-specific. Different levels of strength, speed, accuracy and agility are required of an athlete, depending on the given sport. If you have access to a yoga class that’s tailored to your sport, then by all means give it a try! And please drop me a line to share your results. But even a general practice of yoga will improve your performance in any sport, simply because you are taking care of your body through muscle-specific yogic postures, improving your breath control and capacity through breathing exercises, and developing your concentration and one-pointed awareness through meditation techniques. In this case, your best bet is to find a yoga class or program that encourages the body/mind connection in a non-competitive atmosphere — my very own Shapeshifter Yoga program fits that description. Yoga shouldn’t bring on more strain or stress. Instead, it should give an athlete the energy and strength to reach his or her sports related goals and athletic potential.